Can you spare five minutes in your day to begin practicing a routine that will stimulate each of the vital energy systems of the body and bring them into harmony and balance? Donna Eden is a well-known pioneer in the field of Energy Medicine that teaches and writes about an energy routine that will bring balance and strengthen your body and it’s simple. Here is Donna Eden’s Five-Minute Daily Energy Routine. 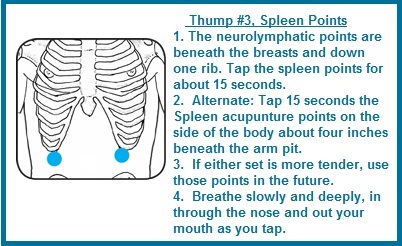 First The Three Thumps: Boosts and restores energy, increases strength and vitality, and strengthens the immune system. 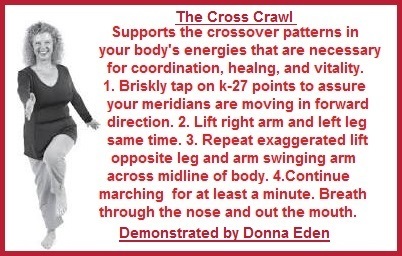 Second the Cross Crawl: Balances and harmonizes energy, improves coordination, clears thinking. Third the Wayne Cook Posture: Takes you out of the overwhelm, focuses your mind, enhances ability to learn. Last the Crown Pull: Relieves mental congestion and headaches, clears and refreshes the mind, sharpens memory, opens the crown chakra to higher inspiration. December 8th, 2016 | Posted by Velda in ACUPRES.,MERIDIANS, REFLEX. 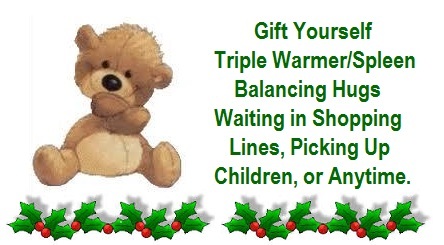 It is very important we help our Triple Warmer and Spleen have a balanced relationship. 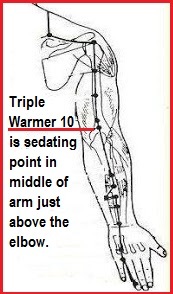 Triple Warmer is our survival mechanism. 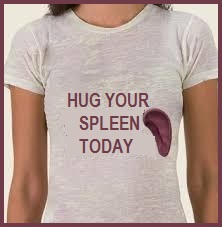 The Spleen processes everything physical and emotional and very much cares about the quality and harmony in our life. Triple Warmer and Spleen sit across from each other on the meridian wheel so they pull energy from each other. Usually Triple Warmer is hogging all the energy from the Spleen. 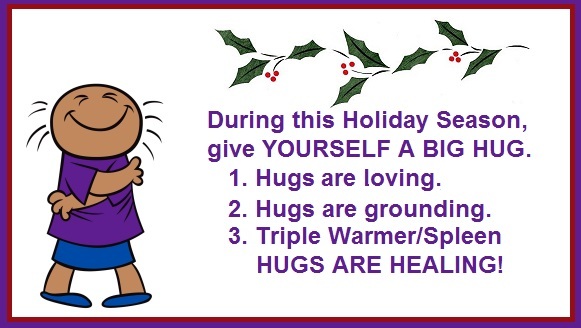 Sedating Triple Warmer and strengthening Spleen (and keeping them balanced) is one of the core concepts and practices of Donna Eden’s Energy Medicine. position for a couple of minutes. 3. You can switch to the other side if you like. 1. Place the hand to be tapped over the center of your chest. 2. 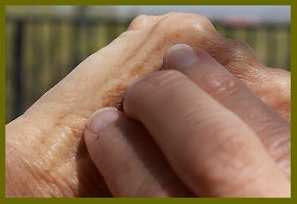 With your other hand, tap it on the valley between the ring finger and little finger, above the knuckle (toward the wrist). Tap firmly, about 10 times, breathing deeply. 3. Pause and take another deep breath. 4. Tap about 30 more times. 5. Repeat steps above switching hands.